Gosh this is just so awkward to listen to, surely it can't properly function as a love jam? It's just too embarrassing. 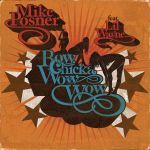 The title is awful, and Posner's voice can be awful at times, but this is a thoroughly decent, and even nice sounding, track. Gah! The vocals are sooo annoying on this one, and the beat is so infuriatingly boring! TRASH! Nothing on his previous two singles, very boring and bland. Not a bad song, didn't now Posner could pull off this sort of music. Pretty cool track but prefer the version without Lil Wayne as he really offers the track nothing anyway. Even with the stupid song title, this was quite good. Weird song title and weird lyrics but it is slightly enjoyable. No thanks. Cooler Than Me >>>>>>>. Der ist überraschenderweise nicht schlechter, fetter Sound.